Back from travelling, i am sure miss Indonesian food really much. This weekend, there's an travel event organised by BC and supported by SQ airlines at Plaza Senayan where i saw totally crowded line from down to upstairs. Seems like everyone really excited about this. 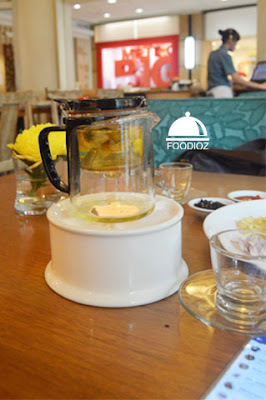 while at there, i am looking for Indonesian restaurant and i found Seroeni at Senayan City across the Plaza Senayan. At 11.00 am, it looks not quite many customers coming yet. I guess since it is not lunch time yet. It has bright wooden color around the restaurant from the ceiling, tables, chair and the staff all wearing typical Indonesia attire which is they really show obviously Indonesia restaurant. As i am craving Indonesian food a lot, so i pick what best in this countri is of course Fried Rice. For this time, i choose Belacan Fried Rice. 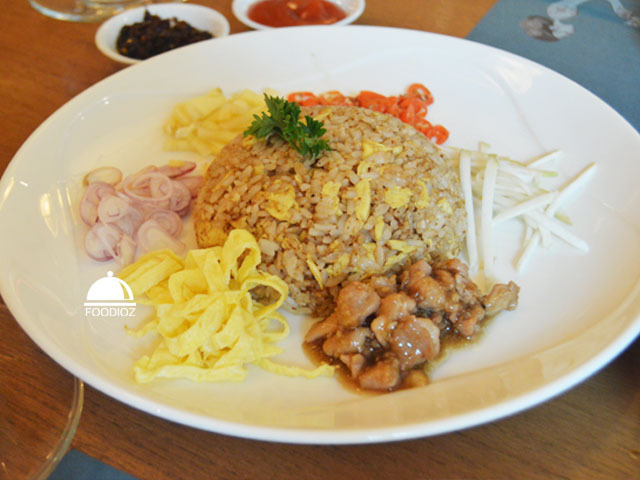 Belacan is mean shrimp paste which has strong smell but it is tasty when used on fried rice. It is nice plating with various side dishes e.g. shredded egg, shallot cut, marinated chicken, mango and ginger slices. Each ingredients are giving a different taste and sensation. Another dish i have is Broccoli in Cheese Sauce. It has beautiful yellow color and broccoli has deep green color. 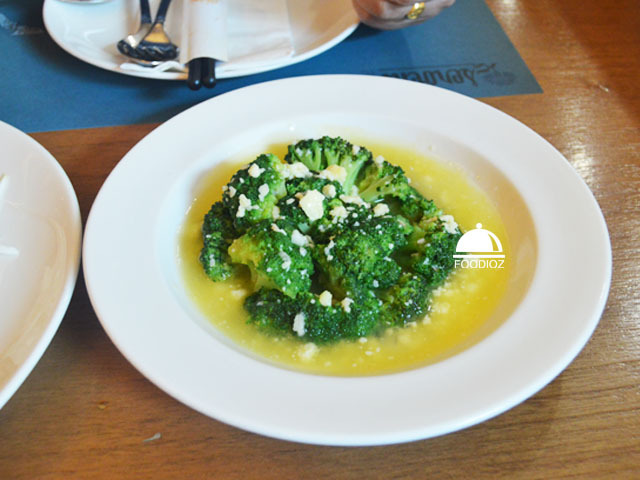 I am not a cheese fan, but this dish is absolutely nice, it has rich and creamy cheese taste blended well with the crunchy broccoli. I feels like to eat more and more. After done the main course, always time for dessert like Big Froot. 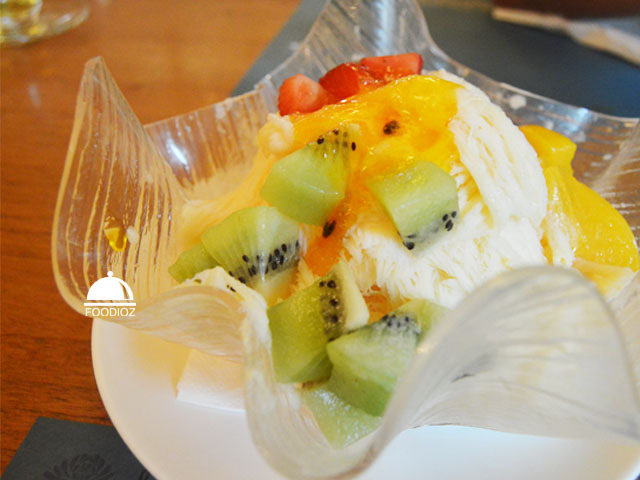 Frozen snow ice with mango sauce on top and beautiful color of strawberry, kiwi and peach. Also i am impressed with the Chrysant Flower Tea, beautiful pot and presentation. It has really sweet smeiling of chrysant and tea taste balanced.